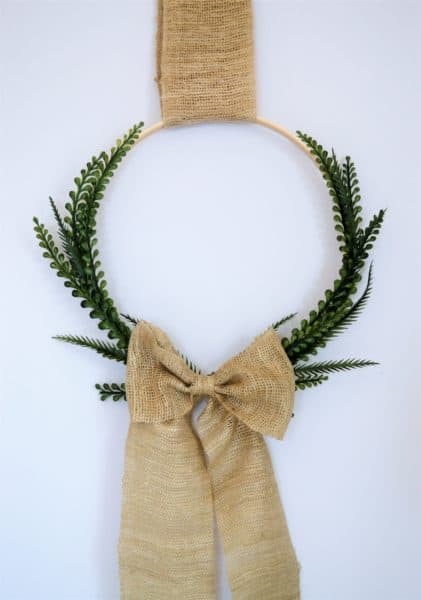 We’re big fans of easy DIY wreaths here at burlap+blue. 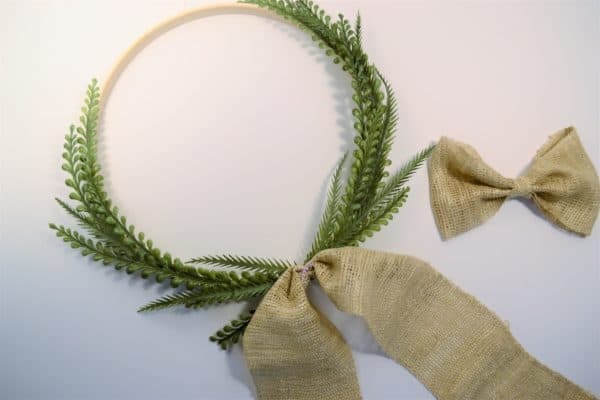 This embroidery hoop and boxwood wreath is a nod to spring, but would easily work year-round. 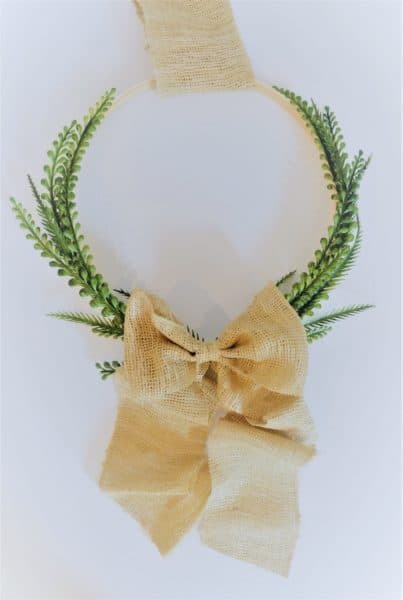 Use any faux greenery or fabric/ribbon you’d like to customize this easy wreath for your own home! 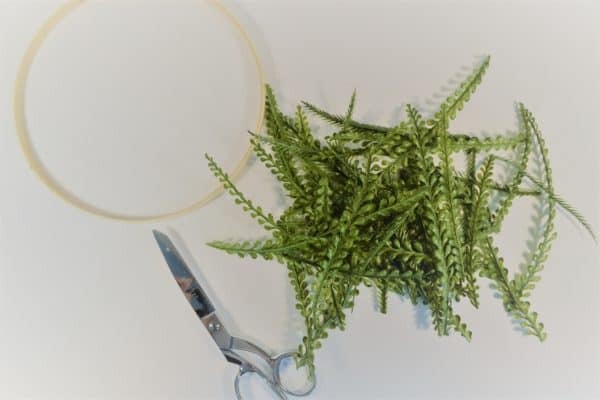 Step 1: Using sharp scissors, cut pieces of your greenery to be glued onto your hoop. Step 2: Using hot glue, carefully glue your greenery around your hoop. I decided to only go partway around the hoop, but you can easily add greenery all the way around. My faux greenery came with two different types of stems, I mixed and matched both for some added interest. Step 3: Make your bow. 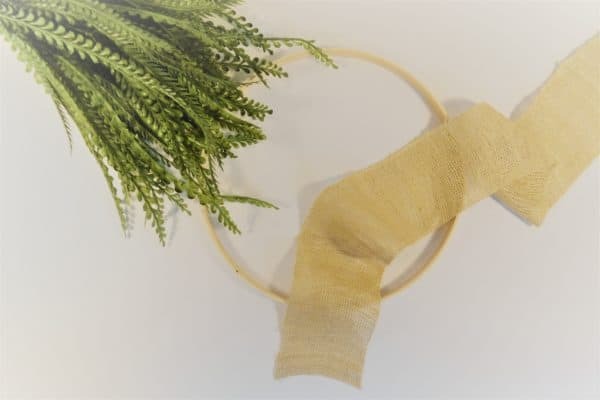 You can easily buy a pre-made bow if you’d like, but I had this burlap ribbon hanging around that I love using for things like this. Simply take a length of your ribbon, fold over onto itself, and hot glue (so you have a circular shape). Cut a second piece that will go in the center of your bow. Accordion pleat the center of your burlap, and tie with a length of twine to hold in place. 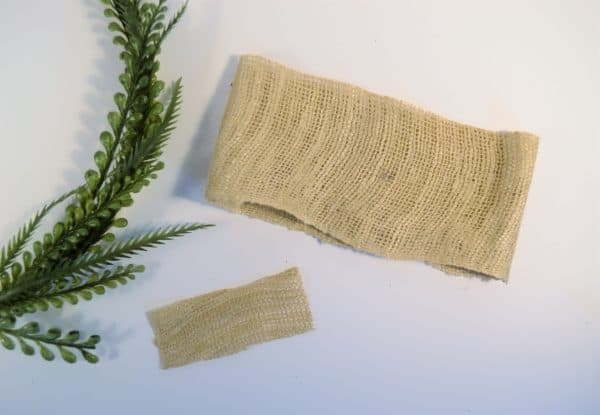 Hot glue your smaller length of burlap around the twine. 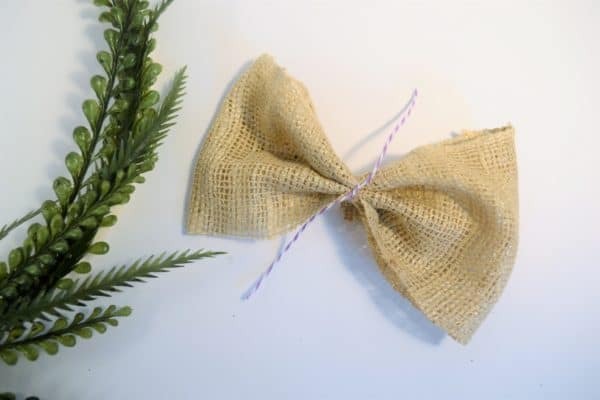 If you’d like your bow to have tails, cut your burlap, tie in the center with twine, and hot glue to your wreath. Glue your bow to your tails (directly over where you tied with twine), and you’re done. 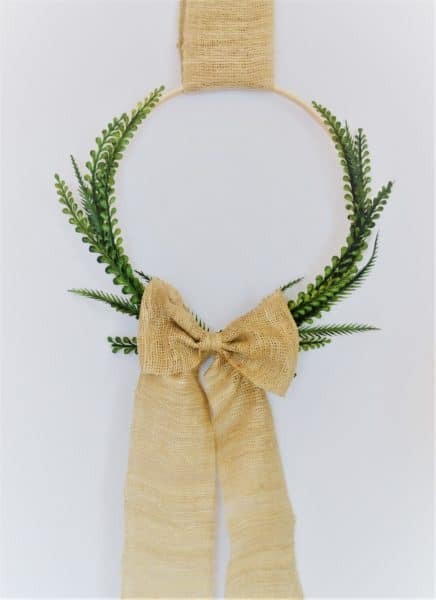 I love the simplicity and rustic-feel of this wreath. Best of all, it was an inexpensive and quick DIY! 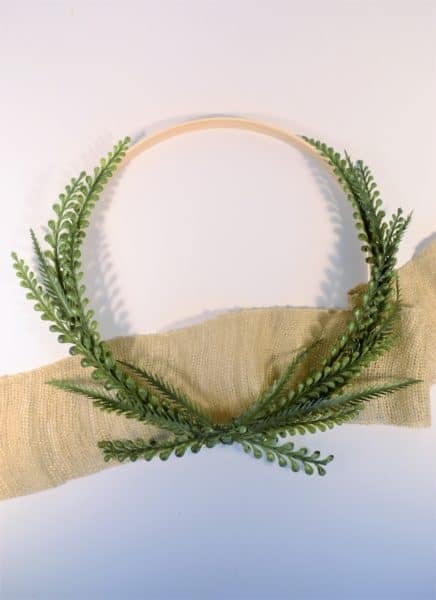 I think if I ever want to change out my large boxwood wreath, this would look great on my vintage window panes! How will you decorate your way into Spring? Where did you get the embroidery hoop?